Mondays 7:30-9:00pm Transnational Dance Intensive at GST BODY (January 7th-March 11th): Fusion. Hybrid. Emulsion. Mix. Blend. Dive into training and creative processing with Aubre Hill as we explore transnational dance for contemporary expression. Open to intermediate & advanced dancers. Performance opportunities available. Thursdays 7:00-8:30pm Bellydance Technique Tuneup at Fit & Bendy (January 3rd-February 7th): Open to all levels & styles and includes a full warmup, technique, drills, & combos to get you sweaty and deeper into your bellydance practice. Saturdays 10:00-11:00am Morning Pilates Mat at Fit & Bendy (on-going): Open to all bodies, gently wake up the body with this full body workout focusing on alignment, balance, strength & flexibility. Sundays 9:00-10:30am Bellydance Lab at Fit & Bendy (on-going): Open to all levels and styles focusing on technique, body awareness, and musical embodiment. Plus expression and creative exercises to engage dancers into deeper, active artistic development. Dropins are welcome! See you at FAB! They’re BACK!!! Our monthly haflas have returned. New location and new creative & fun performances EACH MONTH! 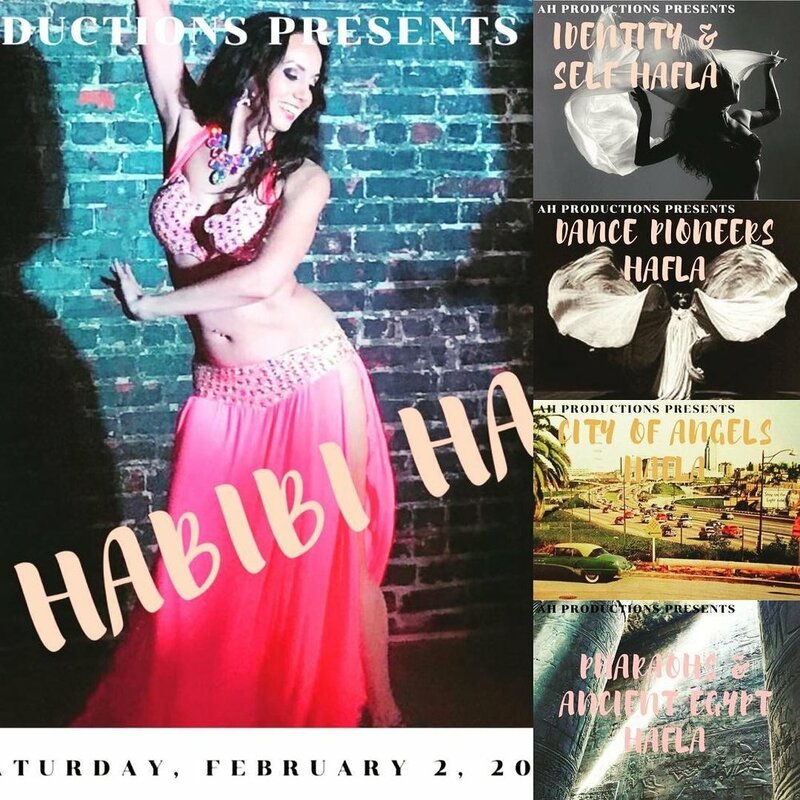 Each hafla gathers bellydance artists from around LA, as well as special guests, for an evening of diverse bellydance styles all exploring a theme for creative inspiration. This is where artists can push, get feedback, try out new ideas, see what works as well as what may not~ all in a supportive environment meant to foster creativity and expression. Doors 7:30pm/ Show 8pm and only $10 at the door. Refreshments available. All Haflas are held at Fit & Bendy Studio located at 2861 West Ave 35, Los Angeles, CA 90065. Street Parking. 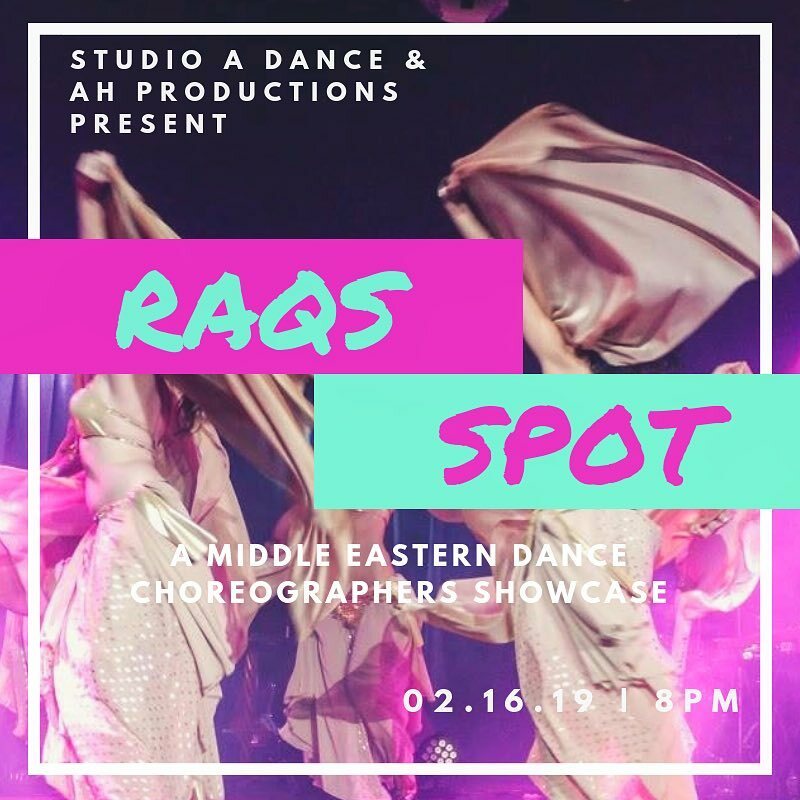 Featuring work by choreographers Adrianne, Kamala Almanzar, Aubre Hill, Melanie Lane, Nathalie, Sekhmet Dance Co, and Shabana Bellydance Co!!! Reserve your tickets TODAY!!! Email dancespotla@aol.com for your tickets. Limited seats! Reception to follow concert with refreshments.